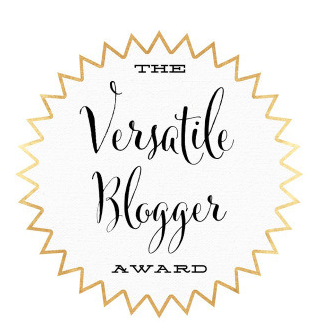 Thank you SO MUCH, Singlemomtalk for the wonderful honor of being nominated for the 2015 Versatile Bloggers Award! ❤ Singlemomtalk is written by a precious, single momma of four – her blog is dedicated to inspiring other single mothers, as well as continuing her passion for Life, raising children, and photography. Or maybe it is the attention and quality of the writing, or the unique and varied subject matter. Whatever the reason, I am incredibly thankful for the opportunity and acknowledgment. Each new recipient is asked to tell their audience a few facts about themselves, helping to build a larger-but-close-knit community in the blogosphere. I read blogs from a whole host of genres, so it is somewhat an exercise in restraint to only list a few. Know that you ALL are valued. Need to Move – I sometimes WANT to be lazy…but I get bored. Easily! I always need to move on to the next thing, and must stay active. My Bike Challenge – I’m NOT a distance athlete by any stretch. But, I trained for, and completed a 300 mile road bike ride in support of ALS (and three friends so afflicted, two of whom passed since. So blessed they knew we were out there for them before they moved on to their next adventure. They are cherished and missed.) I was on a road bike only 9 times prior to those three days. Music – I LOVE music and my taste is varied. As a dancer…or perhaps just a soulful and spiritual person…I fluctuate depending on what my mind, body and spirit need. Sometimes dance, sometimes trance…rock, metal, alternative…then a waltz, a chakra meditation, or a score from an epic film… My iPod remarkably (and rather successfully!) spans a massive chasm of sound! Television – I don’t watch it. There are rare occasions, and I will enjoy a movie with my man, but I definitely never got into it. Food – My favorite foods are salmon, steamed or roasted vegetables (as a lump sum! 😉 ), peanut butter cups. Finding Peace – I have done Craniosacral, Somatic and Alexander Technique work for about a decade collectively. Inner peace in incredibly important to me and extends to all aspects of my Life. As and Empath, I need the self-care and reflection. I do sincerely apologize for not following through with this. I’ve been super busy with work, new job and other duties. Oh goodness, please don’t worry at all! 🙂 Life has a way of whisking us all away! 🙂 I couldn’t fill my post out right away myself!